R&B sensation Jason Derulo returns to Manchester Arena as part of his biggest ever UK arena tour. Derulo recently scored his fourth UK number one single with Want To Want Me, taken from his latest album Everything Is 4. Returning to Manchester Arena for the first time in four years, the singer-songwriter will also be performing the hits Get Ugly, Talk Dirty, Wiggle and Cheyenne. Derulo is now established as one of the world’s biggest pop stars having sold over 50 million singles worldwide and racked up over 1.8 billion views on YouTube, 2 billion plays on Spotify and a radio audience of over 17 billion. Cost includes your ticket and all booking fees. Subject to numbers and availability. 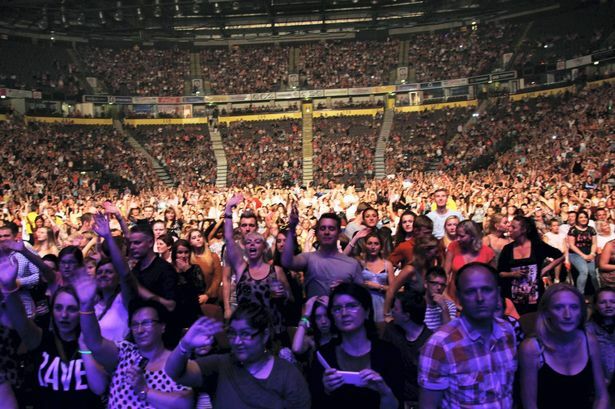 I've been to some small local gigs though Social Circle, and a couple of Manchester Arena gigs - all great fun.